Ahuroa School – 3 different notices. The Ahuroa School Board of Trustees is urgently looking for a new Minutes Secretary. Our Board generally meet once a month. Please email mnell@ahuroa.school.nz to register your interest. Ahuroa School have been generously given several boxes of organic pears and apples. With thanks to Ahuroa’s very talented Angela Gibson, next week they will be selling Salted Caramel Pear Cake ($15), Chocolate Pear Cake ($15), Apple Strudel ($15) and Apple Crumble ($12) to be collected from school next Friday 8 April from lunchtime until 5.30pm. Orders need to be made by next Wednesday 6th. 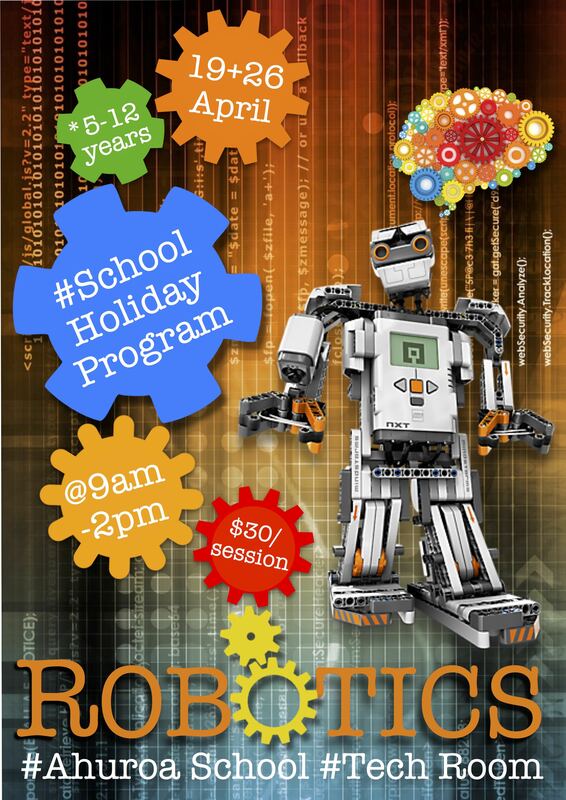 We are very excited to be able to offer a NXT Lego Mindstorm Robotics School Holiday Program on the 19th and 26th of April, 9am-2pm in our new Tech room, run by Theressa Butler. All 5-12 year olds welcome. Morning tea provided. $30 per child per day.